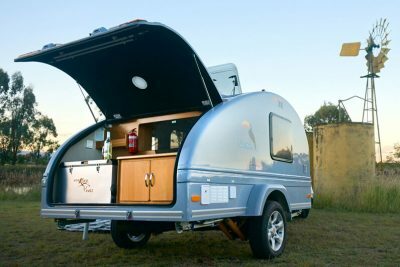 Featuring a striking retro styling, coupled with the latest features at an incredible price, the all new teardrop camper is here! The Teardrop Camper combines pleasure form with functionailty to deliver an outstanding and unique camping experience -no matter the location! Constructed from durable materials to provide greater protection from the elements our teardrop campers are perfect for a weekend away to a river somewhere.